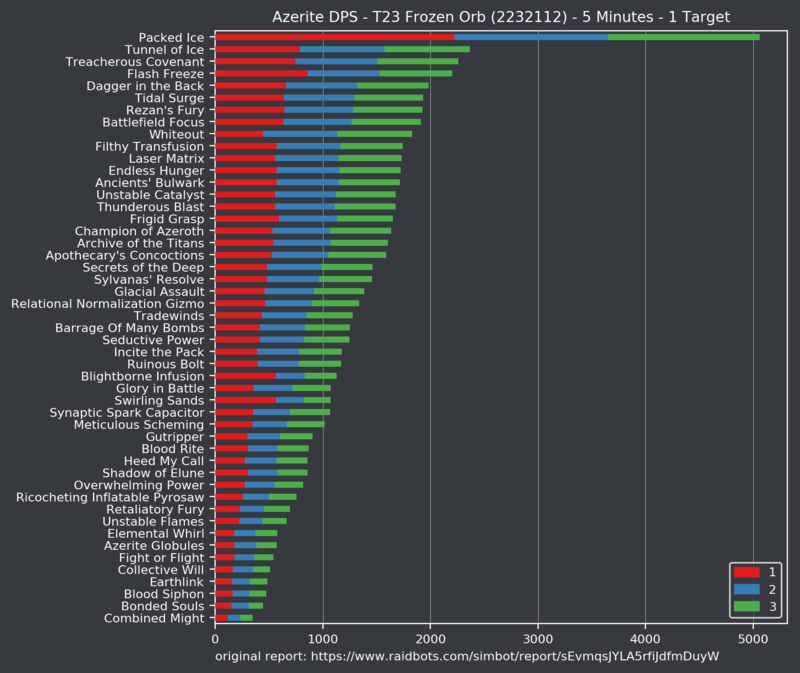 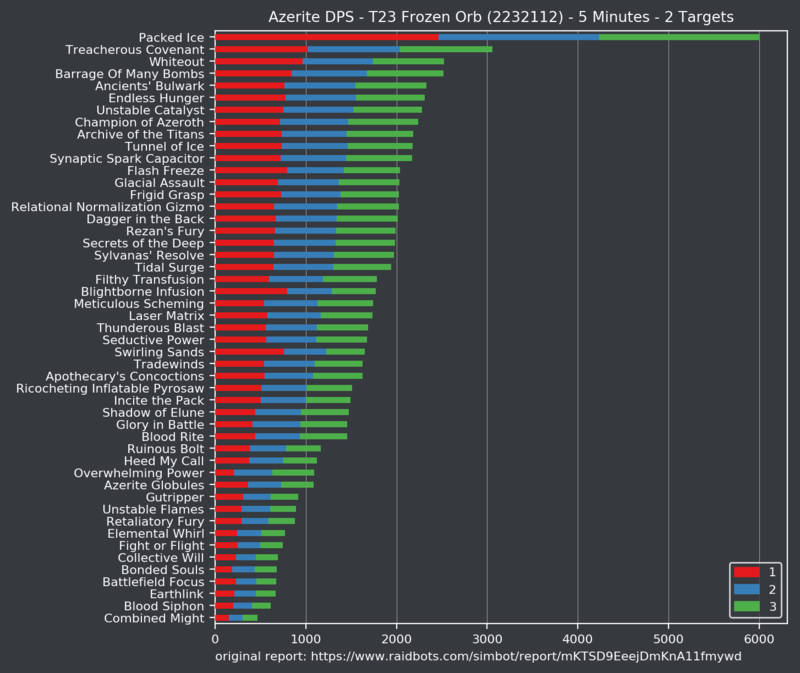 Azerite Traits and Trinkets: The Frozen Orb Build - Altered Time - your #1 World of Warcraft Mage resource! 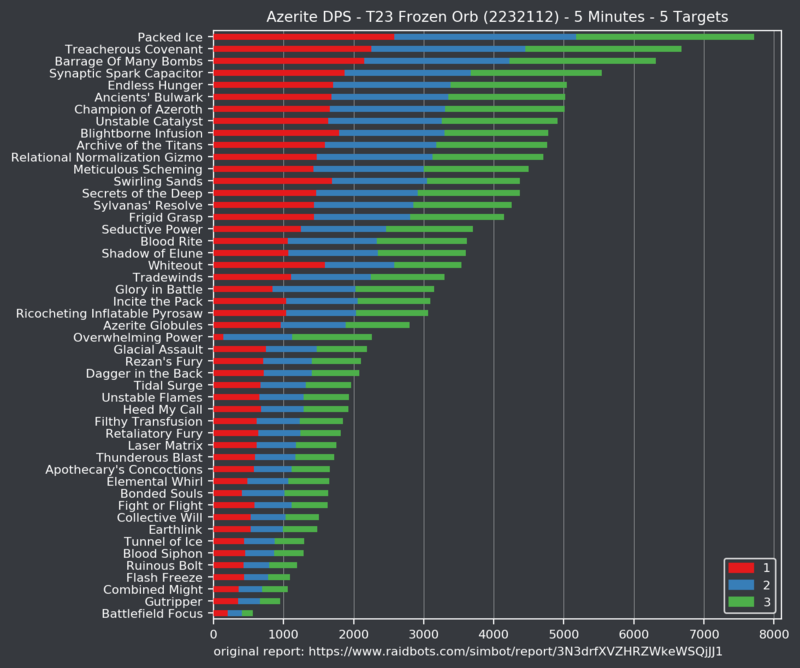 The Frozen Orb build that has been growing in popularity recently uses a custom APL and talents that are very different from the standard Frost build. 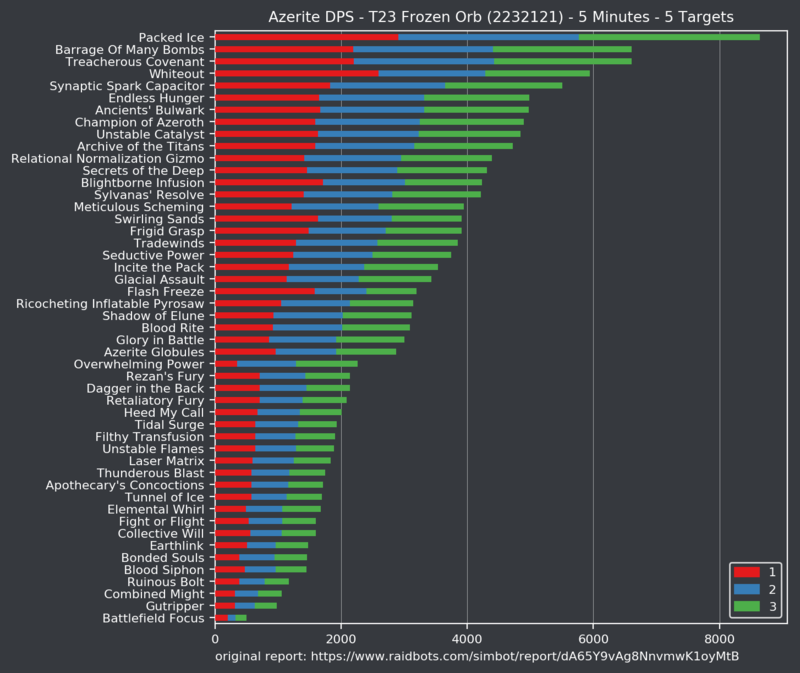 Because of this, the charts available on Bloodmallet and Hero Damage do not provide accurate information for this build. 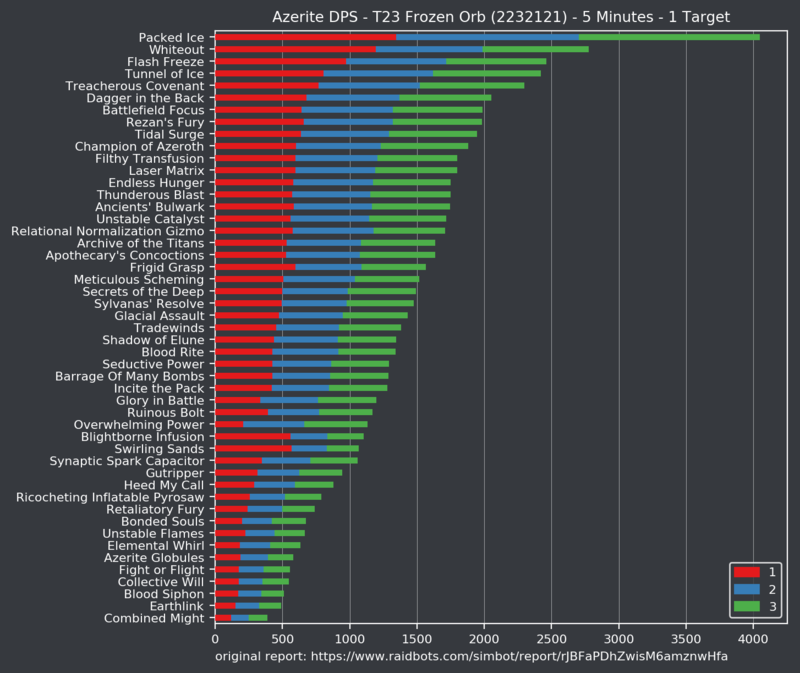 Below are comparison charts of azerite traits and trinkets for the most common talent variations used by this build. 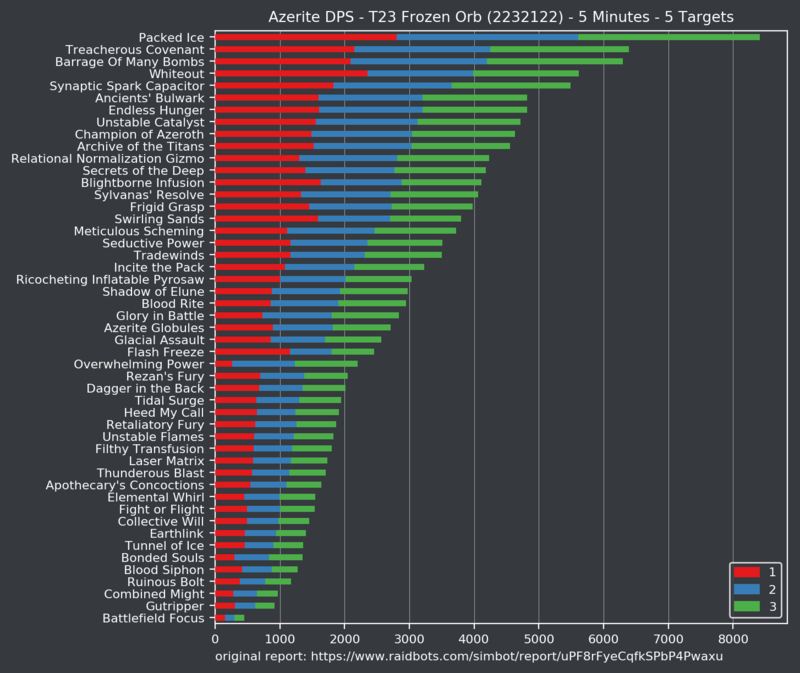 All of these simulations use the base T23 Mage Frost profile. 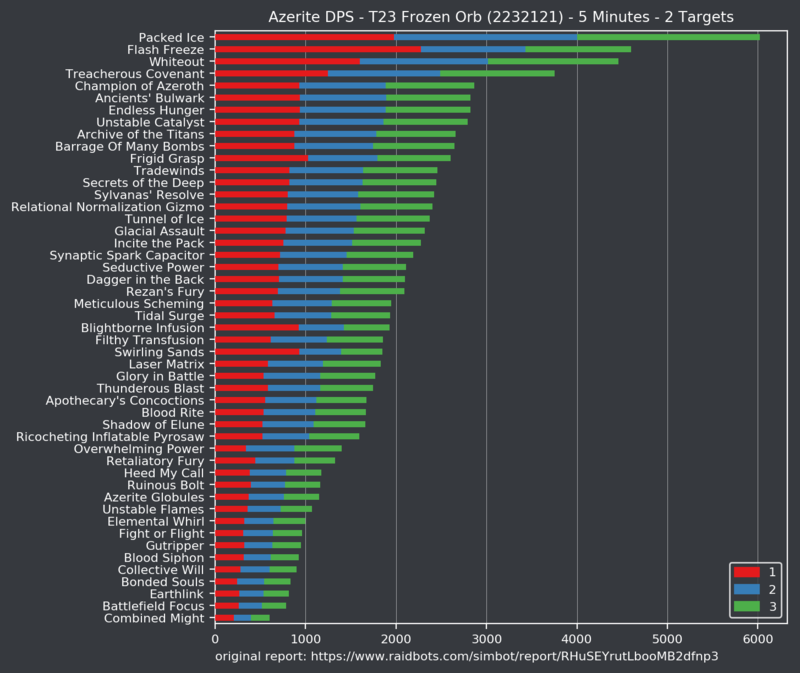 The azerite trait simulations consider one, two, and three ranks of each trait on their own. 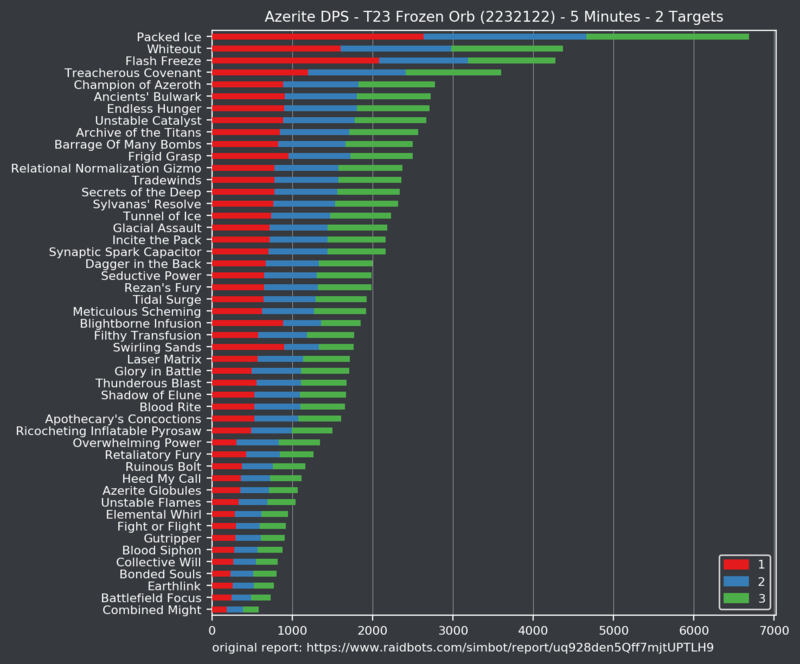 Because of this, these charts do not show any synergies between different traits when they are combined. 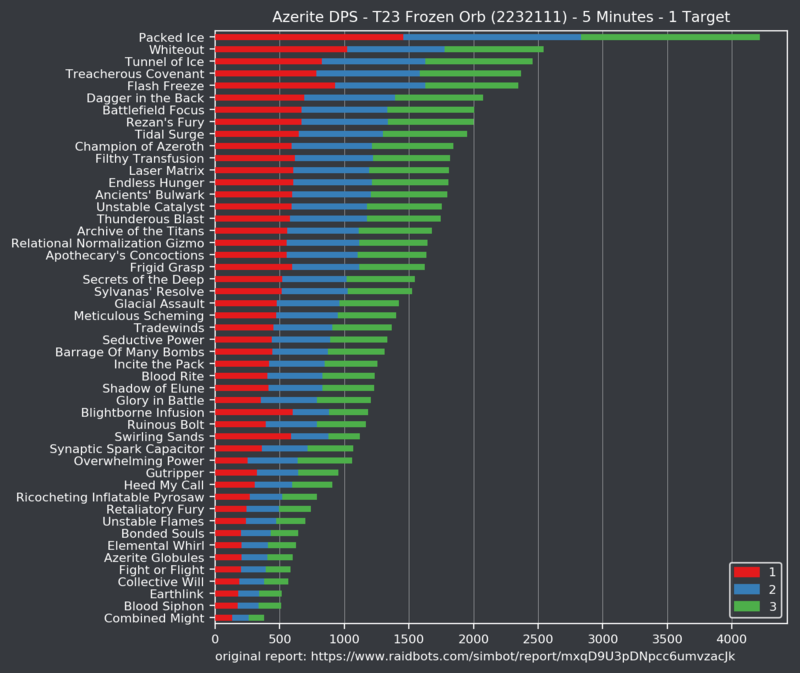 The trinket simulations show only Raid, Dungeon, and PvP trinkets. 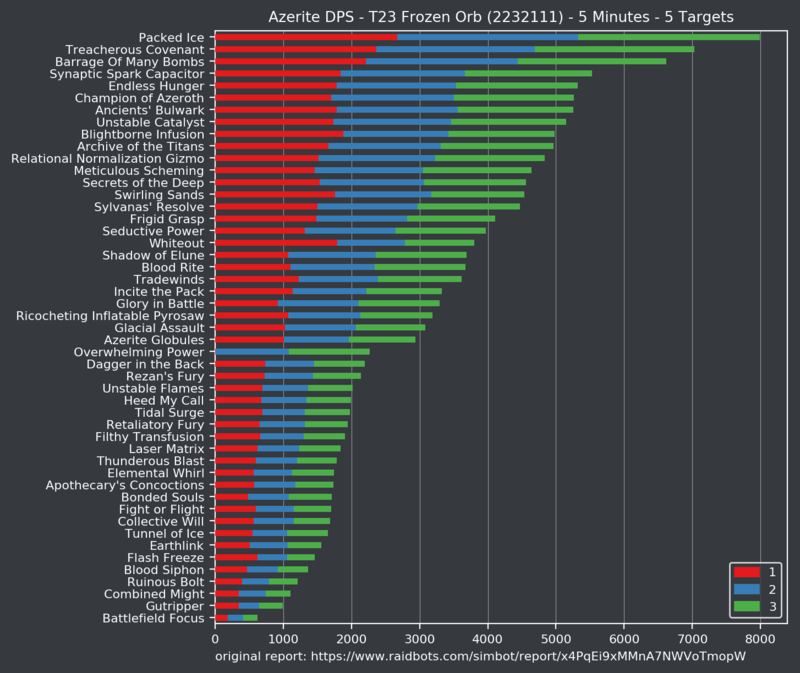 They consider equipping only one trinket and use three https://www.wowhead.com/spell=272968/packed-ice traits, two https://www.wowhead.com/spell=278541/whiteout traits, one https://www.wowhead.com/spell=288204/flash-freeze trait, and three https://www.wowhead.com/spell=266180/overwhelming-power traits. 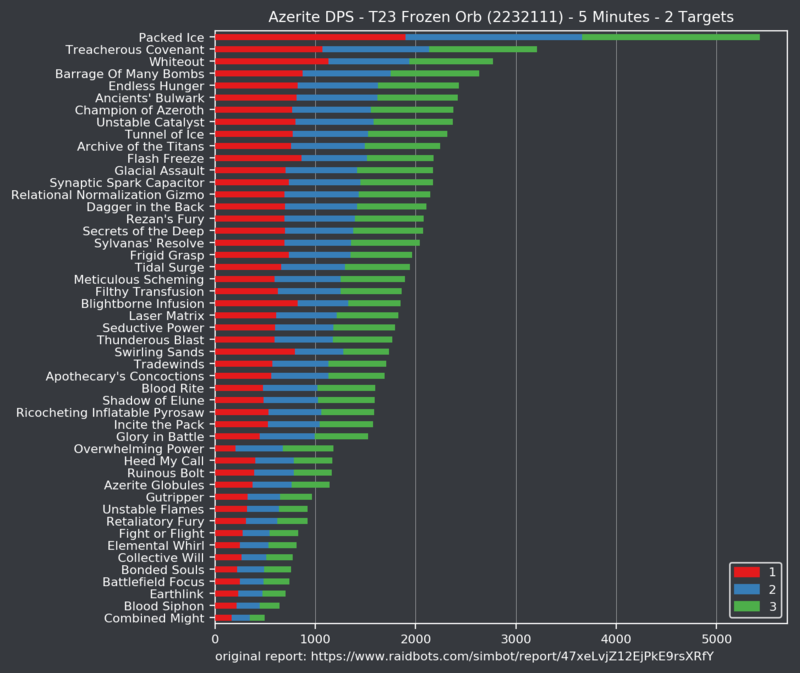 Seems interresting, as traditional build seems quite disappointing... Is the result superior in DPS, compared to classic build ? 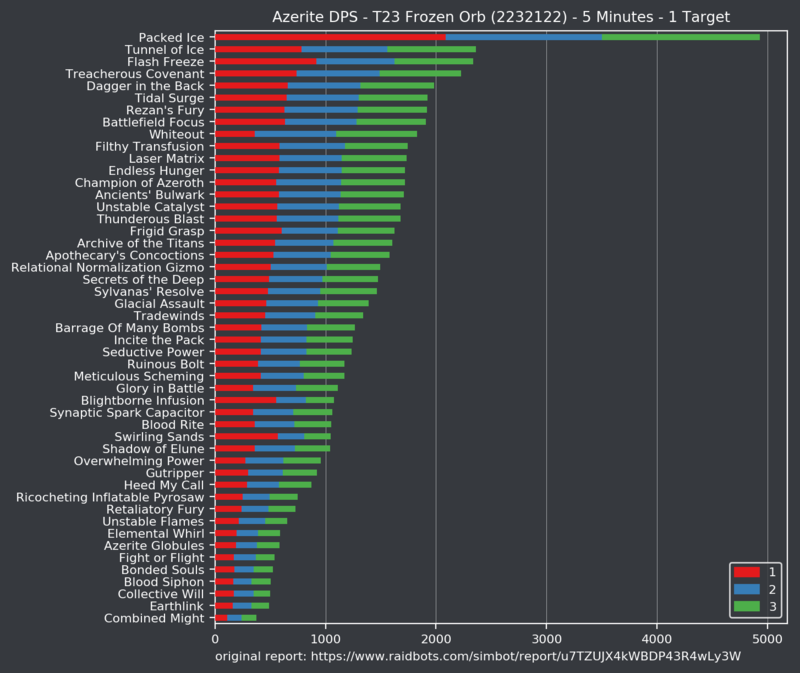 There is no full guide for this build yet, but If you want to read about the build, there is a pinned message describing it in the #research channel of the Altered Time Discord.